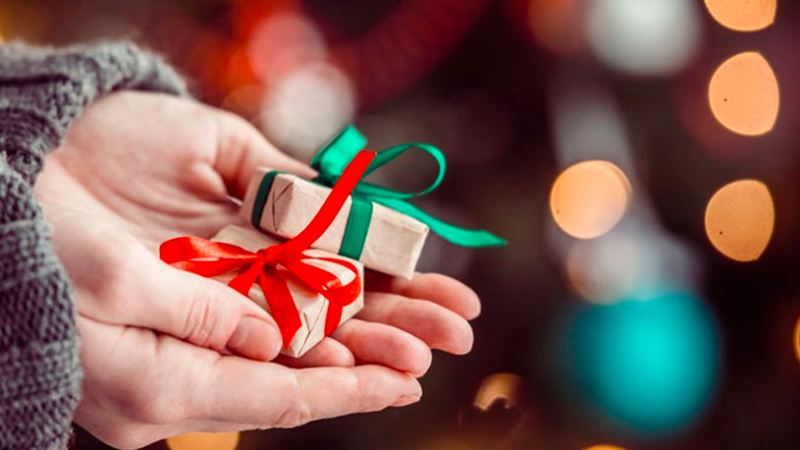 With an Oasis Spa eGift you can give the gift of Peace, Joy, and Love to everyone on your gift list (including yourself) plus receive up to 50% off on some of our very best and most popular spa packages. This is THE Perfect Gift! How can you go wrong by giving your friends (or even your enemies) a Peaceful Pampering Day? Order as many eGifts as you like. Pssst, don’t tell anyone but YOU can get as many eGifts as you want for yourself and use them over the next 6 months! Think of all the money you could save. * eGift Terms and Conditions • Offer valid from now through 31 October 2019 only • eGift certificates for special promotion are valid for six months from date of issue. • eGifts can be used at all Oasis Spa locations in Thailand. Please present eGift at the spa to redeem the service. • eGifts are redeemable for the indicated treatment only, they are not redeemable for cash and they are nonrefundable. • An advance reservation is required, please contact Reservation Center to book Tel.02-2622122. • Free transportation service may be limited in some areas, please request this when making your reservation. This Oasis Spa with a “secret garden” ambiance is only steps away from Bangkok’s skyscrapers! Take a time-out from busy to discover this hidden Oasis of serenity. A garden pathway takes you to one of twelve treatment rooms that include outdoor showers, soaking baths, or massage beds for two. Relaxation platforms are located among tranquil lotus ponds and soothing waterfalls. FREE Transportation from BTS “Phrom Phong” Station is available. 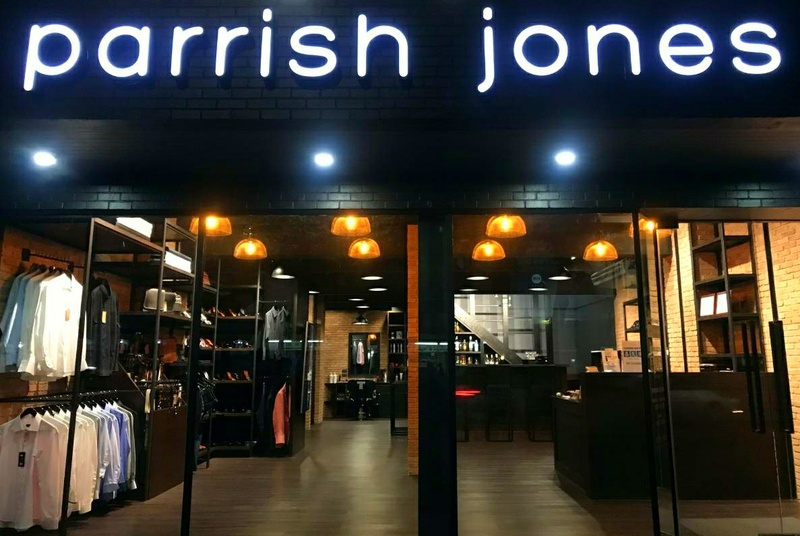 17apr(apr 17)10:0021(apr 21)18:00Style Bangkok at Bitec BangnaSTYLE Bangkok is an international trade fair that offers all sorts of lifestyle products. 20apr09:0019:00Thailand Medical Marijuana Conference at Rembrandt Hotel & Towers, BangkokOpportunities abound now that the law for the use of marijuana for medical and research purposes passed in December of 2018. 20apr(apr 20)10:0021(apr 21)20:00Weddings Showcase at Millennium Hilton BangkokSay “I DO” with exclusive rewards worth up to THB 150,000, plus a dream honeymoon. 20apr12:0015:00Benihana Does Easter at Benihana at Anantara RiversideGather the family for a leisurely lunch at Benihana, complete with chef entertainment and a kids’ corner of sweet treats. 20apr12:3015:30W Does Easter Brunch at W BangkokWhen Easter Sunday is for the egg hunting, Saturday is for W Does Easter Brunch! 20apr14:0023:30The 5th Thailand 420: OG 5 Year Ganchachon at Kingdom of Art & MusicHighland is the voice, the thirst and the drive for change. We aim to educate and elevate the level of knowledge, which we believe will eventually legalize Thailand. 20apr14:0020:00Pool party at [email protected] Design Hotel BangkokSplash summer with our first pool party of the year, Enjoy special price of poolside bites plus awesome live DJs. 21apralldaySunday Arvo Session at The Aussie pubGet together every Sunday arvo and enjoy our free barbecue, live music and jugs of Leo & Singha for only 199 baht! 21apralldaySunday Carvery at The Kiwi pub BangkokServe yourself piles of meat at our Sunday carvery instead! It’s all-you-can-eat for 395 baht every Sunday. 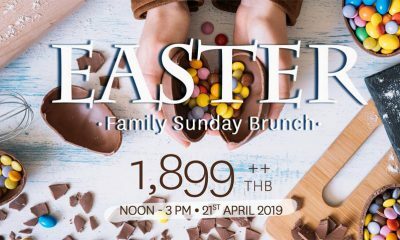 21apralldayCelebrate Easter Brunch Buffet at The Drunken Leprechaun Four Points by Sheraton BangkokMake the most of your Sunday by spending a quality time with your family & friends for this Easter! 21apr11:0017:00Easter Eggs-Travaganza at 137 Pillars Suites & Residences BangkokEaster is the perfect time for you to get together and share the joy and happiness with friends and family. 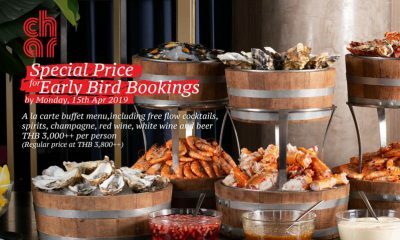 21apr11:0015:00Easter Sunday Brunch 2019 at Novotel Bangkok Ploenchit SukhumvitEat out this Easter at The SQUARE restaurant, Easter Sunday Brunch starts from 1,220 net including free flow sparkling wine, wine and draught beer. 21apr11:3015:00Easter Brunch Treats at Bangkok Marriott Hotel SukhumvitHave a wonderful time with your beloved families and friends with our Easter Sunday treats. Kids can also enjoy fun activity by decorating their own cupcakes. 21apr11:4515:00Celebrate Easter DAY at The Huntsman PubOur Easter Buffet is simply incomparable. 21apr12:0015:30Easter Brunch at The Rain Tree Cafe, The Athenee HotelEaster is a-coming on Sunday 21 April 2019, with all the seasonal goodies, games and more are being rolled out for the gastronomic pleasure and family fun they bring. 21apr12:0015:30Hooray, It’s Easter! at So Sofitel BangkokIt’s gonna be an Egg-static Easter at So Sofitel Bangkok as we bring in the treats and goodies early this year! 21apr12:0015:00Easter Fair 2019 at Conrad BangkokEnjoy Bangkok’s favorite Easter Sunday Brunch at Café@2. 21apr12:3016:30Easter Sunday Brunch at Siam Kempinski Hotel BangkokWelcome Spring and celebrate Easter with a sumptuous international buffet plus egg hunt and lots of fun activities for young guests to enjoy. 21apr12:3015:00Scalini Easter Brunch at Hilton Sukhumvit Bangkok HotelScalini celebrates Easter on Sunday 21 April with a family brunch that combines fabulous food with fun, games and a special buffet for children. Easter at Blue Parrot ! 21apr15:0020:00Easter at Blue Parrot !Our Easter celebration offers a great opportunity to spend a good time with your family and friends ! 22apralldayMonday Curry Night at The Kiwi pubWe’ve got three great curries every Monday night at The Kiwi. Mondays are the only day to enjoy curry menu with a free pint of Heineken or Tiger beer. 22apr17:0023:00Half Price Chicken Wings at Scruffy Murphy’sWe might not be angels but we sure got a lot of wings! Half-price wings only on Monday after 5 p.m. at Scruffy Murphy’s! 23apralldayTaco Tuesday at Slanted Taco BangkokIt’s Taco Tuesday buy 2 for 1 taco at Slanted Taco Sukhumvit 23!! 24apralldayWednesday Special at The Kiwi pubWow look at that classy drink! Come get your own Bacardi cocktails or on the rocks for just 99 baht every Wednesday, you know where! 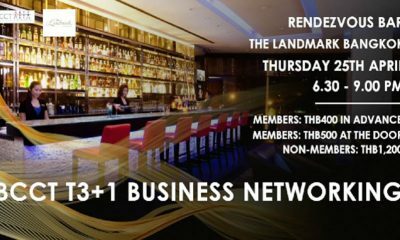 24apr18:0021:00Transatlantic Networking Night Ft. “What the FATCA, eh?” at Koi LoungePaul Gambles shall lead the talk and he will give further insight into the implications of the Foreign Account Tax Compliance Act (FATCA).